Had enough of the cold weather? 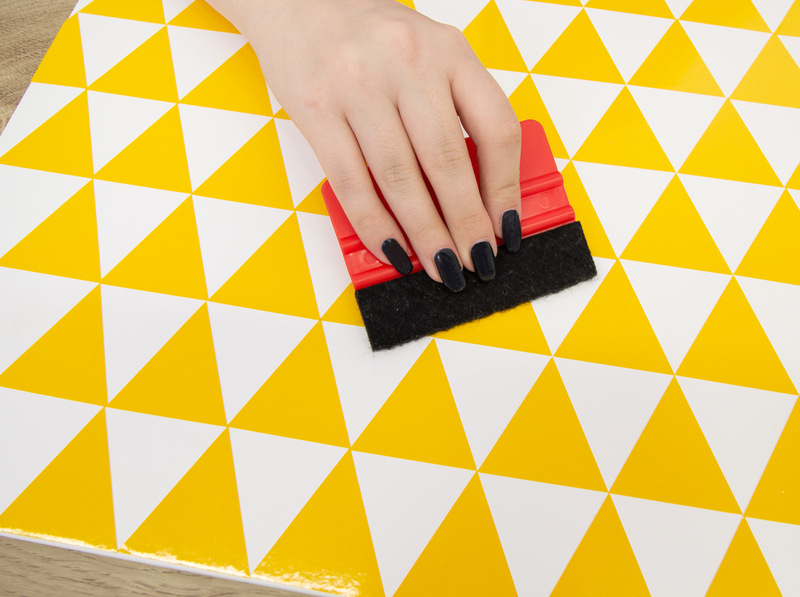 Let your furniture shine a sunny yellow with our yellow d-c-fix® adhesive films. 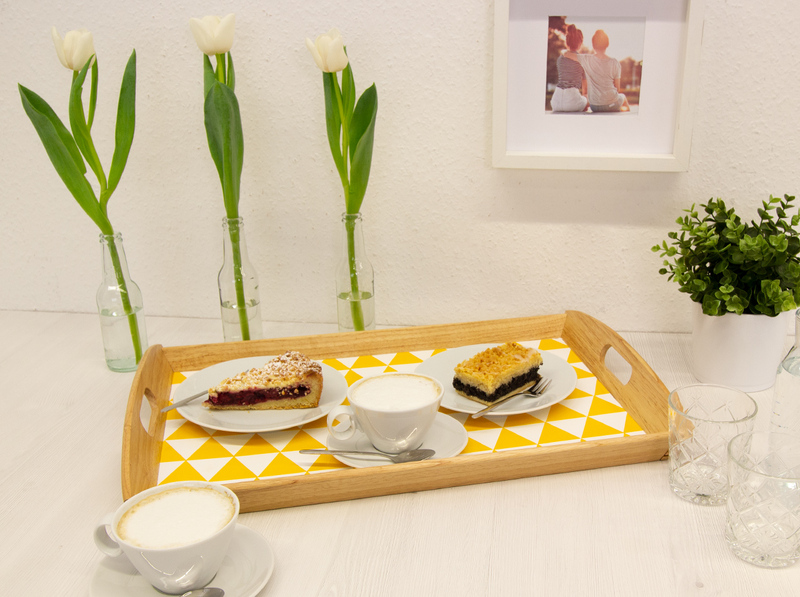 We’ll show you how to turn a simple tray into a kitchen eye-catcher. 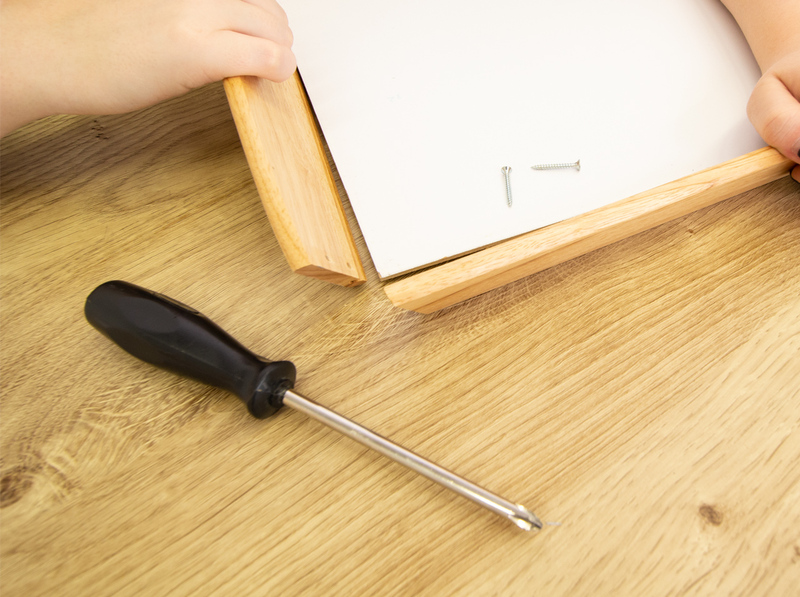 If necessary, disassemble your tray so that you can take out the bottom. 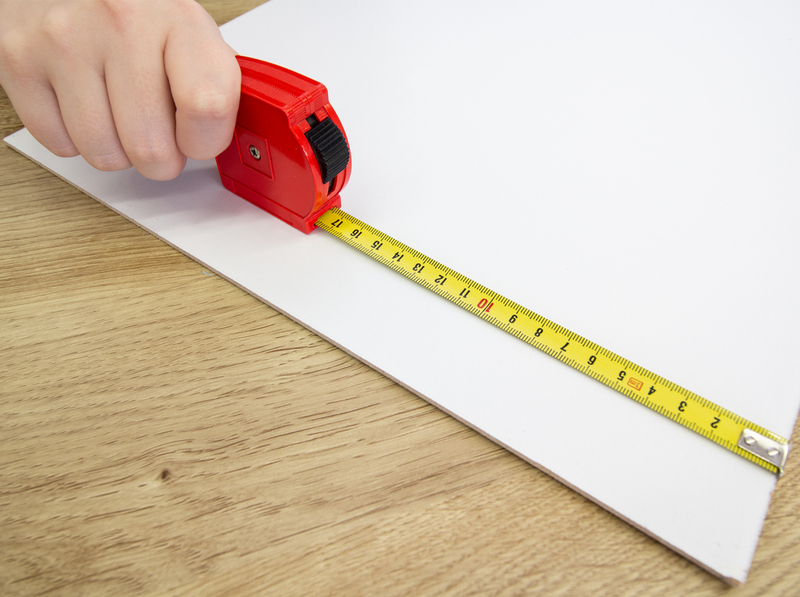 Measure the surface and mark the dimensions on the backing paper of the white film. 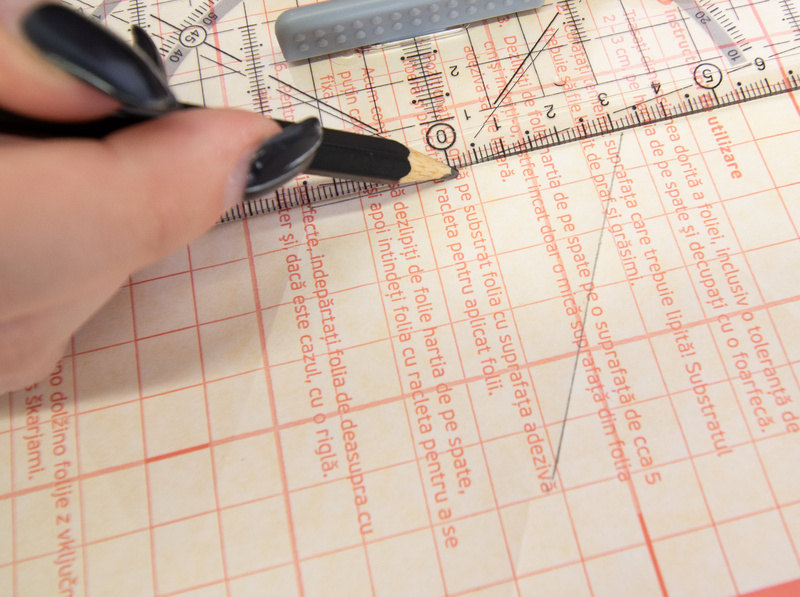 Draw several triangles or other shapes of your choice on the backing paper of the yellow adhesive film. Cut everything out with scissors. Leave a little margin on the large surface of the tray. 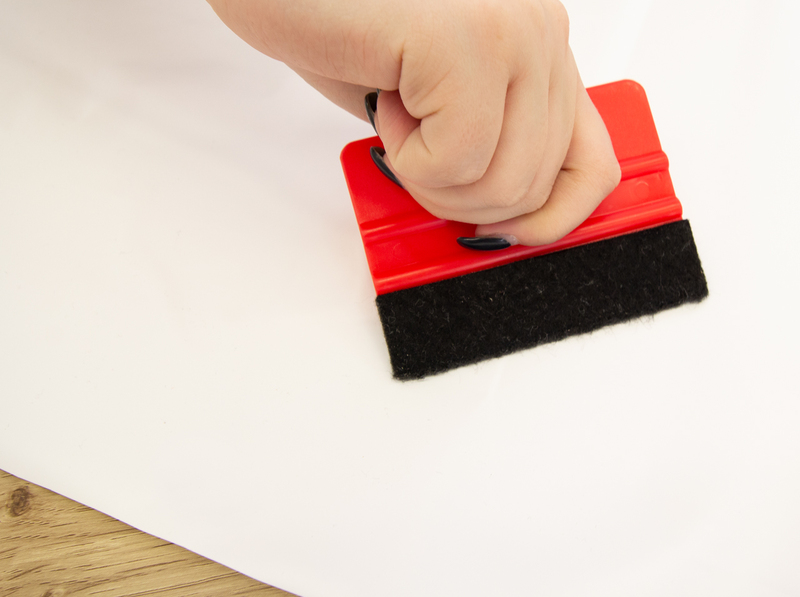 Peel off the backing paper and smooth over the film using the smoother. 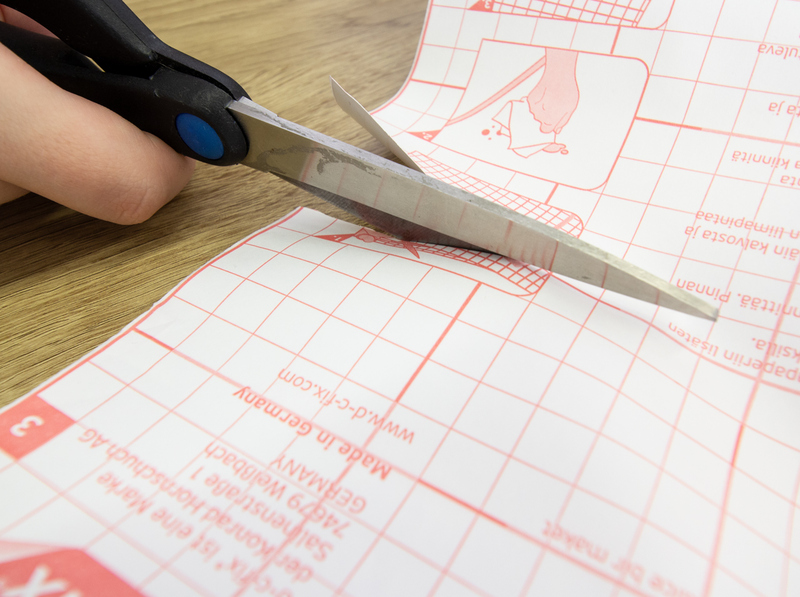 You can cut off any excess film with the cutting knife. Now stick the individual shapes in the desired positions. Smooth over everything with the smoother. For a non-slip base, you can put our function pure transparent base on the bottom of the tray.